You may recall that Kate McKinnon, incredible comedic performer, Saturday Night Live star, and all around kween, recently took home a much-deserved Emmy for Best Supporting Actress in a Comedy Series, thanks to her superb performances on the sketch series. In her moving and charming acceptance speech, Kate thanked Ellen Degeneres and Hillary Clinton (whom she frequently impersonates flawlessly), as well as her late father who introduced her to SNL when she was a child. It was beautiful. And during her appearance on last night's episode of The Tonight Show with Jimmy Fallon, we got some more hilarious insight into Kate's magical evening. "I have no conscious memory of that night after they called my name. I know they called my name -- blackout. I came too many hours later. I was eating spaghetti alone in a hotel room." As the conversation continues, Kate reveals that she low-key doesn't know where her Emmy is. 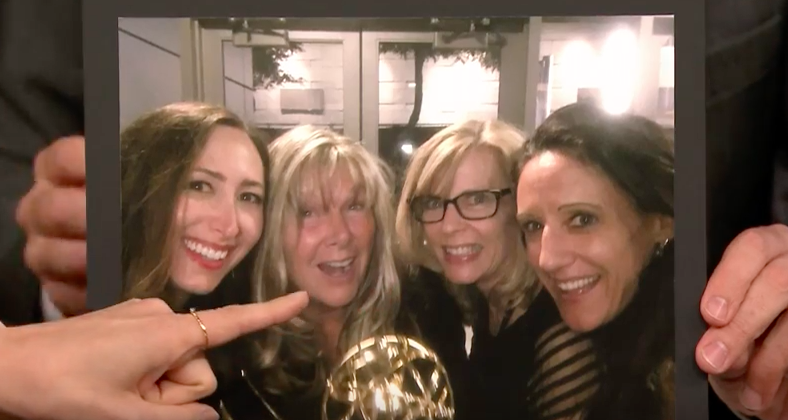 After you win the coveted award, the Emmy gets taken back temporarily — but Kate has no idea when or how she will get it, or where it even currently is. 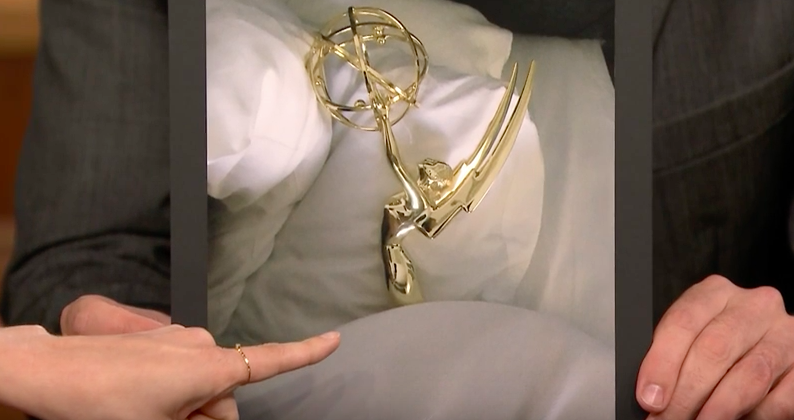 But as she tells Jimmy in the above clip, pictures keep popping up on Facebook, showing other people holding her Emmy — some of whom she recognizes, and some not so much. "Come back to me whenever you feel it's appropriate." "My Emmy could be like Forrest Gump and wind up in the middle of every historical event for the next 30 years. And then just come back to me, and it would be beautiful." Congrats again, Kate! We’re sure you’ll be reunited with your Emmy eventually.